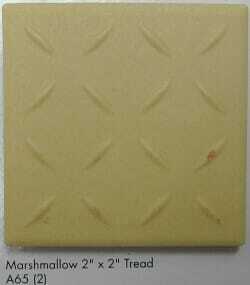 Here’s a great idea: Bathroom tile with treads. If I were designing a shower as part of a bathroom remodel… and I wanted to use tile for the floor instead of the porcelain enamel cast iron shower pan (my favorite bathroom shower base idea) from Kohler… then I would very seriously consider this porcelain bathroom tile from American Olean. The idea for the tread is — I am pretty sure — to help prevent slips and falls in the shower. Yes: Be concerned about designing for this issue — even if you are “too young” to think about it. Pam’s Blue Bathroom: Things I Would Have Done Differently from RetroRenovation.com on Vimeo. These tread tiles are also unglazed, which makes sense: The shinier the top-coat, the more slippery the surface is and will get when water hits it. The surface coating of a floor tile is one of the critical considerations when specifying the material that you will use on a bathroom floor. Any floor, really. There are other considerations, as well. 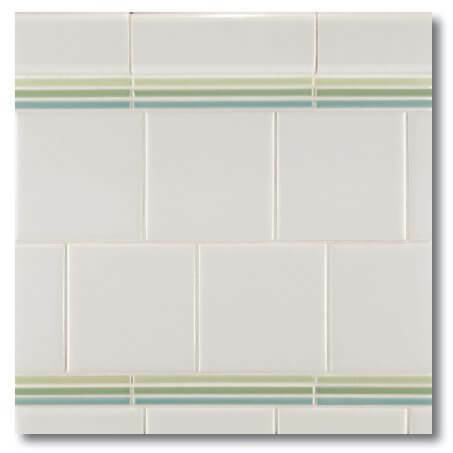 This tile is part of American Olean’s ColorBody Porcelain Mosaic Series. 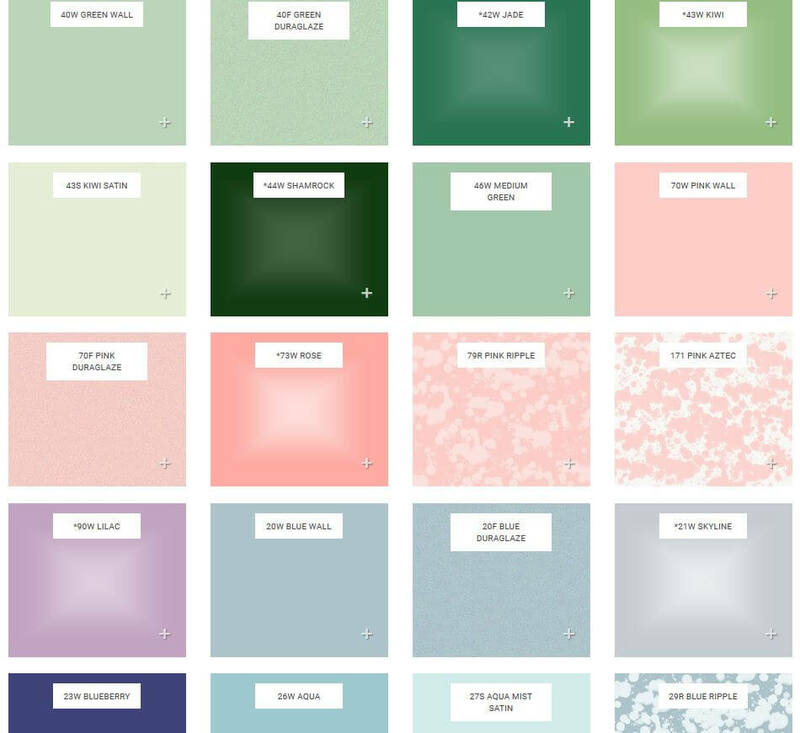 This is a great series — lots of colors, lots of styles — all pretty relevant to if you have a mid century home. 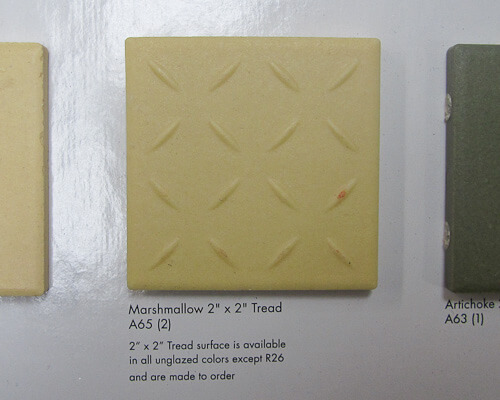 AO and Daltile also have matte-finish tiles in the same sizes, also in a wide variety of colors. Daltile is the sister company to American Olean. Also check Daltile’s selection, they may have different colors. I cannot find this on the Daltile website, though. The AO and Daltile websites are not fun. Third time: Go to the biggest tile store you can get to, to scope the possibilities. Eat some protein before hand, and take a camera, it’s gonna take a while. 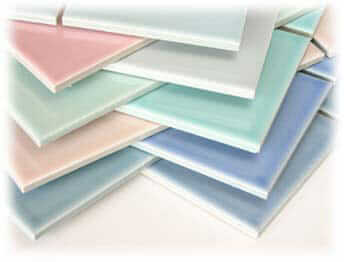 B&W Tile has a new website — we now can see all the authentic vintage pastel colors! This thread seems pretty dead, but I came across this page while researching options for flooring/shower tile for a 1930s-style bathroom. This tread tile doesn’t seem to be available from American Olean anymore. Any alternatives out there? Ellie, I do not know…. I think you will just need to research… See our overall research on tile makers at the top of Bathroom Help / Tile Category. Good luck. 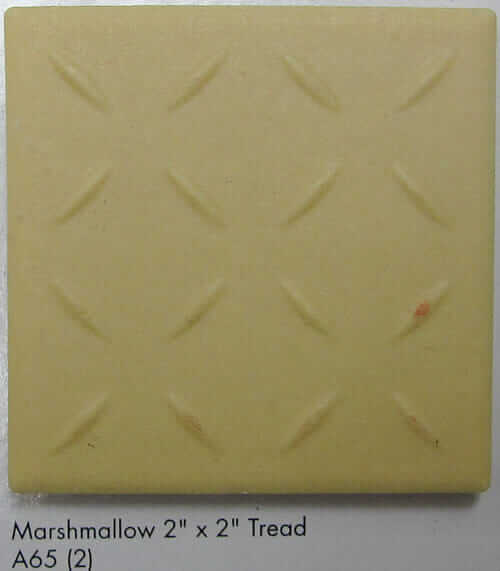 Although it doesn’t come in nice colors ( basically terra cotta shades and some grays) or 2-inch sizes, I see Daltile now has tile with this kind of unglazed tread pattern. It’s weird there isn’t more market for this stuff, personally I would love a quality alternative to those little stick-on flowers and swans. I’m not even that old, but I am a big klutz!